What is a Quantum Computer? How does it work? Why is it so important? I really like this explanation of Quantum Computing and what it’s potential is. Quantum Computing is a science that has the potential to solve problems at 1000x the speed of today’s fastest supercomputers… search vast amounts of data in 1000x the speed of todays’ fastest searching algorithms. You don’t know how Quantum Computers work! Microsoft has had large resources dedicated to this field of research for decades, featuring the leadership of one of the world’s preeminent mathematicians, Michael Freedman. Michael Freedman is a Fields Medal Award winner, an honor often referred to as the “Nobel Peace Prize of Mathematics”, given to the world’s best mathematicians. Together, with numerous other Quantum Computing Researchers at Microsoft’s “Station Q” research facilities in UC Santa Barbara (and other locations), they are on the forefront of Quantum Computing. Fareed offers his take on why Donald Trump fits the definition of a B.S. artist. Do not confuse motion with progress. “Let’s say you’re a Trump voter: An honest hardworking American that put up with Donald Trump’s unusual behavior because you wanted aa president that would stop playing Washington’s political games, bring a business man’s obsession with action and results, and focus on the economy. 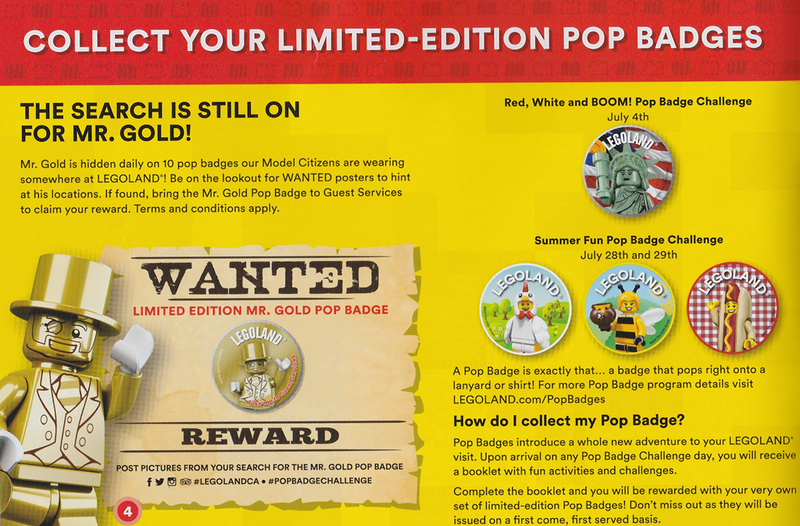 Looks like in the latest flyer for LEGOLAND California, they are advertising the latest special Pop Badges for July 4th & for July 28-29. Our family is pretty loyal to Legoland California. We’ve been to the other theme parks & resorts in Southern California but the only one we buy an annual pass to is Legoland. 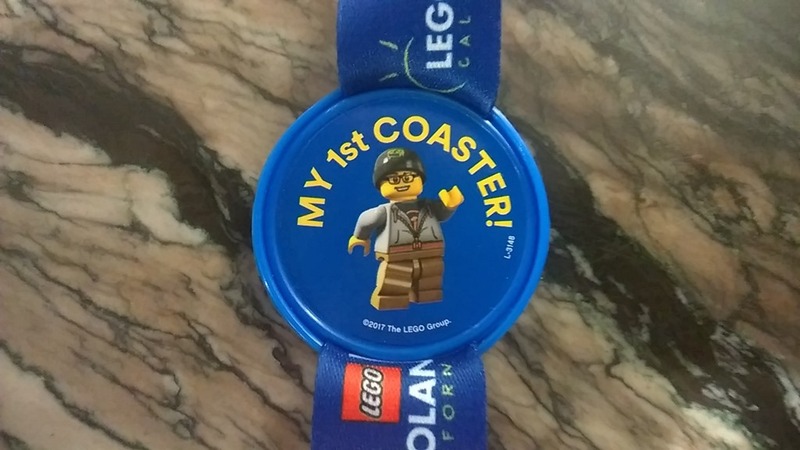 One of the collectibles that LegoLand has that seems to be lesser known is Pop Badges. 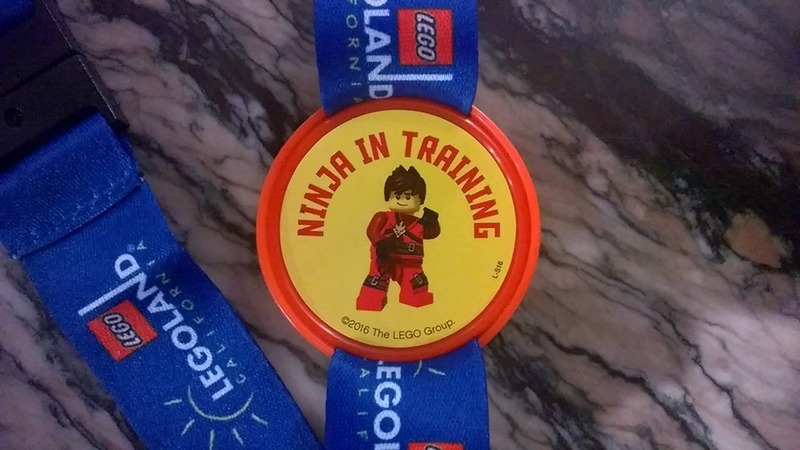 These are plastic badges that adhere to your kid’s Legoland lanyard or their shirt and represent some special accomplishment or feat. Since then it’s been a quiet pursuit of Lego fans that visit the parks. 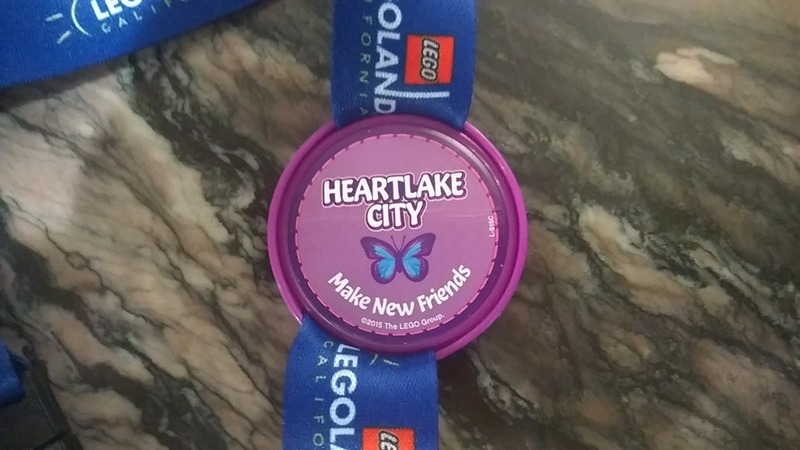 If you go to LegoLand California, you’ll very occasionally notice some kids walking around with badges on their lanyard or their shirts. These are badges of pride as “they know” about the pop badges and collect them aggressively. These are the badges that you can get by asking the Model Citizen (MC) running/hosting the ride. Here’s the ones for Heartlake City Horse Riding, Ninjago the Ride, FunTown Firefighters, and The Dragon Rollercoaster. 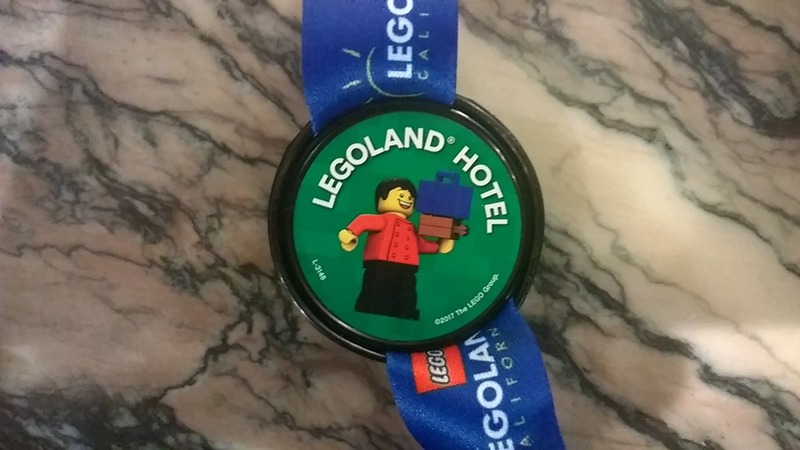 If you stay at the LegoLand Hotel, you MAY get a pop badge. This badge lets you and your family into the park at 9:30AM – a half hour earlier than anyone else to ride a small selection of rides. They usually include Coastersaurus, Lego Technic, Heartlake City Horse Riding, and Safari. If you go through Castle Hill, you may wander past an area that looks like panning for gold. That’s exactly what it is. For $3, you can receive a pan and start go through the river sand looking for a nugget of gold. 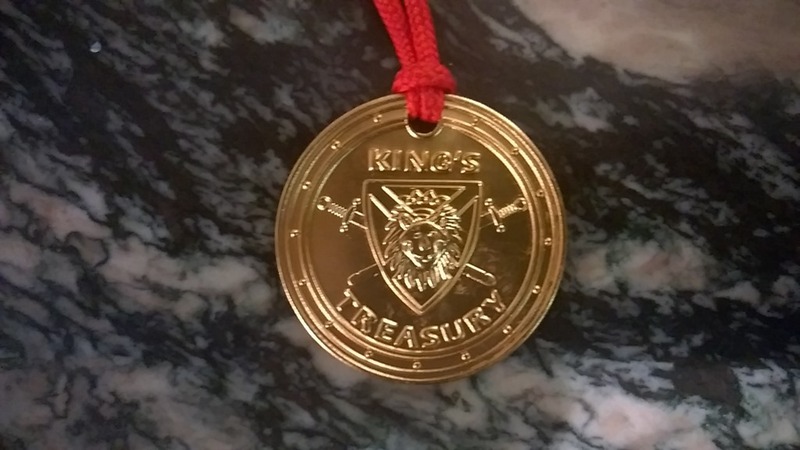 It’s a fun activity for the kids and if they find one, they can turn it in to the cashier for a gold medal from the King’s Treasury. This is what it looks like. It’s not technically a pop badge but you’ll find kids wearing them with pride nonetheless. 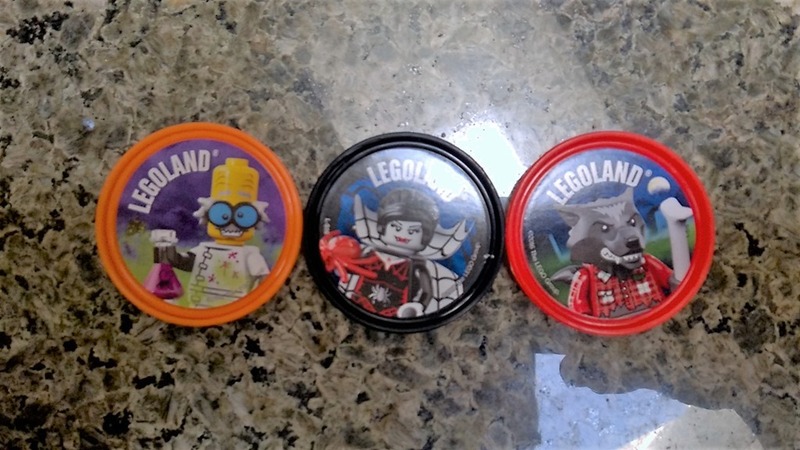 These are badges that you can obtain if you visit LegoLand during the month of October SPECIFICALLY during their special “Brick-or-Treat” days, where they had out treats and have other special activities for kids dressed up for Halloween. The photo above is the set from the 2016 Halloween. There is a sign in the Legoland Hotel that briefly talks about it near the elevators and it describes the badge as being very rare and worth something if you turn it into guest services. 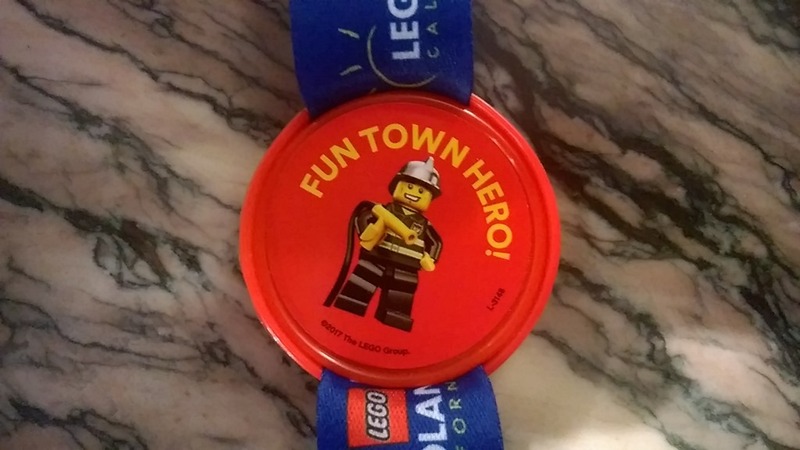 At the UK Legoland, it looks a bit different, showing a ‘gold brick’ on the front and it is reportedly worth a free ticket to the park – but it requires that you turn the badge in to guest services, meaning you lose the badge as a collectable. …but when I actually see people that celebrate (CELEBRATE!) outlandish propaganda, blatant deception against their own interests, full retraction/negation of citizen’s rights – all based on what can only be called pure ignorance, the inability to comprehend 6th grade logic, and the unverified carrot of “I’ll take care of you & rid all that ails you”, I start to wonder if ‘Keep America Stupid Forever’, really is the long term strategy for this administration. Many years ago as a 15yo kid, I saw this short 10min episode of the ‘new’ Twilight Zone, and it will be no surprise, once you read it, that after more than 30 years, it suddenly came rushing back to me. At the episode’s conclusion, I remember sitting in the corner of the living room sobbing. It’s a really good episode about the future. Do me a favor, and watch it. The Microsoft Store has a secret. Amazon’s cheapest price is $70. eBay’s cheapest is around $68 as of 3/10/17. GroupOn had a limited time offer for $45 but the Xbox One version’s sold out. Trust me. I’ve scoured the planet and this is the cheapest it gets… until it sells out from the store, at which point y’all will be paying $20 more per copy. 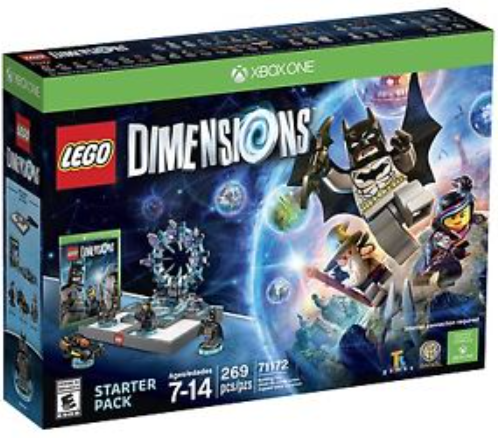 WHY LEGO DIMENSIONS FOR XBOX ONE? 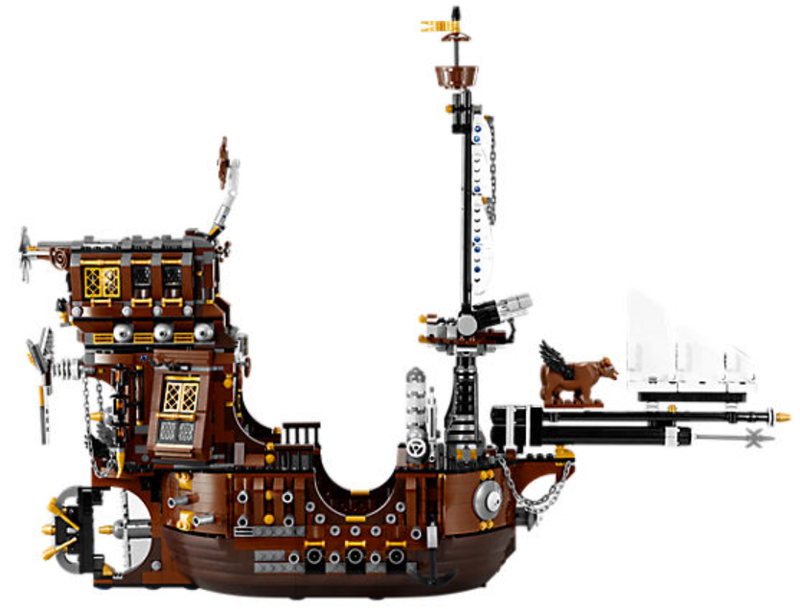 I should know – I own them all and have played them with my son. Lego Dimensions is not only the best, it’s created by TellTale Games, the folks behind all the other Lego video games as well as critically acclaimed hits like “The Walking Dead”, “The Wolf Among Us”, “Minecraft: Story Mode”, “Game of Thrones”, and “Tales from the Borderlands”. Knight Rider “Fun Pack” – featuring Michael Knight & K.I.T.T. With the never ending releases of expansion packs with new characters, new content, new levels and new worlds, this is the best video game investment I’ve made since Fallout 3. Go get this deal while it’s available. You are currently browsing the Kurt's Thoughts blog archives for March, 2017.